One Piece Silver Swimsuit for 46cm (18") dolls. Ihis outfit can also be worn as a calisthenics or gymnastic leotard. If you like the pink swimsuit photographed with the silver one in the last photo, please see my listing for pink swimsuit. 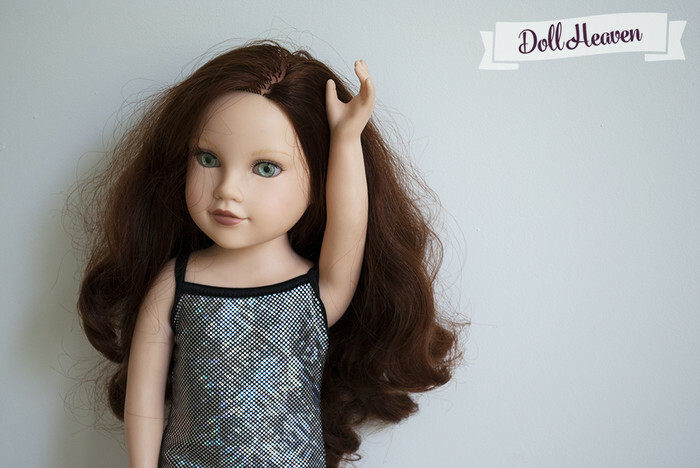 As this fabric is so stretchy, it will fit both slim 46cm (18") dolls such as Journey Girls and dolls such as Our Generation which have slightly bigger measurements.